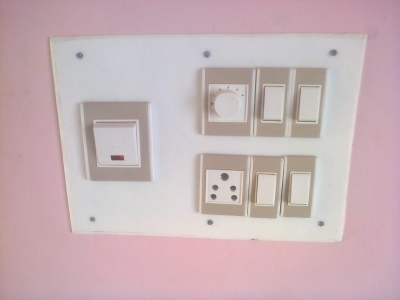 If you are going to keep Roma company switches then you need to go for metal boxes otherwise wood box is sufficient. Normal switches will cost you less. There will be huge savings if you are going by normal switches. Based on your finance position you can opt any one. When you are going for metal boxes there are few local companies metal boxes are also available . use local companies metal boxes so that you can save money. I observed both local and Roma metal boxes. definitely there is some quality difference but spending double amount for the quality is not required. More over metal box will be inside the wall. after finishing you may not see anything. you can fix roma switches for local companies metal boxes.